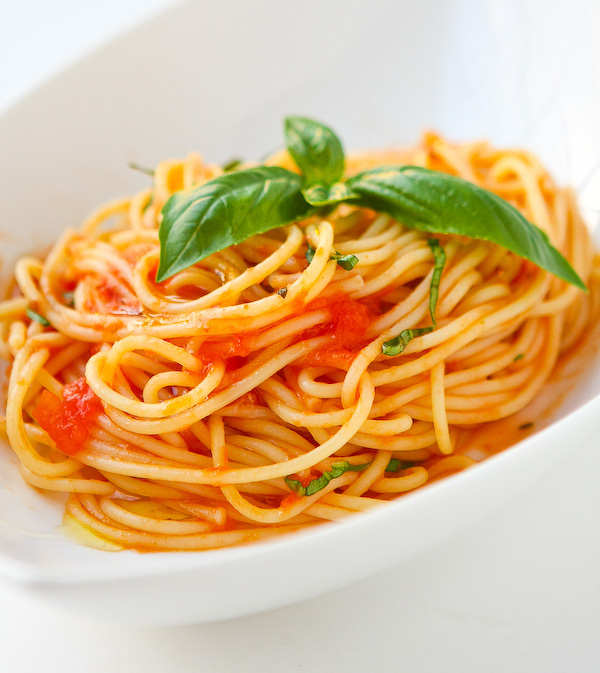 Pasta - spaghetti, penne, buccatini, angel hair, etc. In a skillet over medium heat, brown the meat, onion and garlic. Drain the fat. 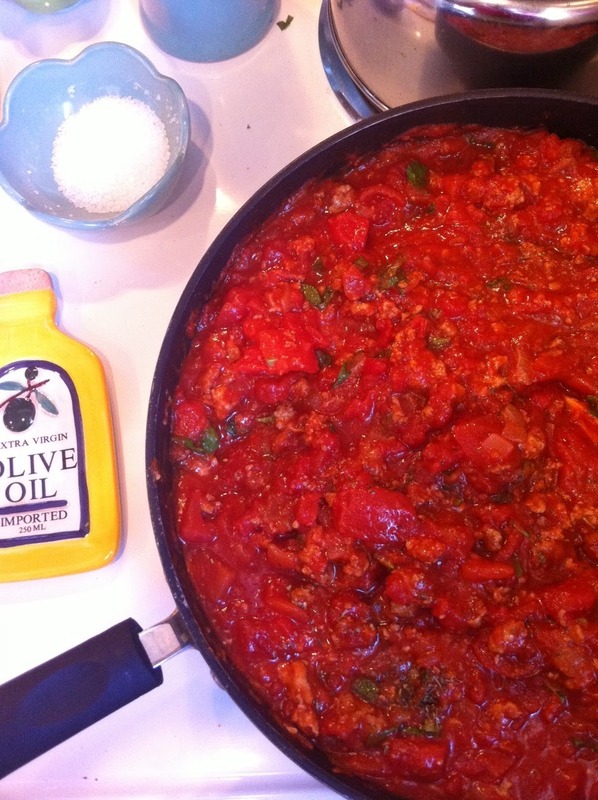 Mix in the basil, oregano, brown sugar, 1 1/2 tsp salt, diced tomatoes and tomato paste. Simmer for 30 to 45 minutes, stirring occasionally. In a large pot, boil water for noodles, adding some olive oil and salt for flavor. Cook for 8 minutes or just before al dente. Add the noodles to the pasta and mix together. Continue cooking for 3 - 5 minutes. Serve with Parmesan cheese and fresh basil on top.